Steve Johnson made me feel welcome and confident on purchasing a new vehicle...kept a smile on his face the whole time he worked with me... Great personality, approachable and was fun to work with... He made my car buying experience seem so easy... Thanks again Steve you ROCK!!! Always impressed with the showroom, professional salespeople, and the polite service. I had a very good service day. Clay introduced himself and we became fast friends. He wrote up the work order and got things going. My car was in, serviced, washed, and out in 2 hours. Met my expectations 100%. i thank you and my car thanks you. Welcome to Suntrup Kia South! Here at Suntrup Kia South, we always strive to deliver a first-class car-shopping experience to Kia drivers throughout St. Louis, Kirkwood, Webster Groves, Affton and Arnold. We make that possible by providing a stunning collection of vehicles, hassle-free financing and high-quality service and repairs. That’s how we’re able to serve as the one-stop shop for buying, financing and servicing Kia cars! We always say here at Suntrup Kia South that the only thing better than inspecting and experiencing that new car smell on a new Kia Soul, Sorento, Optima, Sportage or Sedona is to test it out on the road. Our highly knowledgeable and supremely friendly staff will help you work through all aspects of any model that is of interest to you, so you will feel completely, 100% informed when it comes times to make a decision. You don’t have to spend a ton of money to drive a high-quality car at Suntrup Kia South. Instead, you can drive an affordable used car to enjoy incredible bang for your buck! At such competitive pricing, you’ll have the chance to drive a safe and dependable car without exceeding your budget! So, you’ve found the vehicle you most desire. You want to go home in it. We want you to go home in it. But, all the details must be sorted out when it comes to financing. That’s where our car loan and Kia specialists step in. We’re here to help you by going over every option clearly, and will work hard to find the right plan for you. We want to make your dreams of ownership happen, and this is all part of the Suntrup Kia South experience we strive for. Commitment to your new Kia Soul, Optima, Sedona, Niro, Forte, Sorento, or Sportage from Suntrup Kia South continues after you drive it out of our showroom for the first time. We want to make sure you get the most out of your vehicle and enjoy it for many years to come. You can find that support in the form of Kia parts for your vehicle needs. And, if we don’t have them, we’ll order them for you. There’s also car service from our team of maintenance specialists who will have your vehicle primed to perform at all times with routine repairs, checkups, and more. 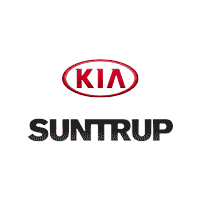 Here at Suntrup Kia South we’re serving drivers in Kirkwood, Webster Groves, Affton and Arnold with all of their automotive needs. Whether a new or used car is in order or a little maintenance is required, visit us at 6263 S Lindbergh Blvd in St. Louis, MO and we’d be happy to help you, too.